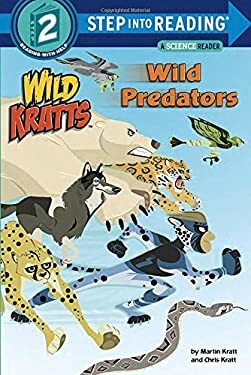 PBS s animated hit show "Wild Kratts" follows the adventures of zoologists Chris and Martin Kratt as they travel to animal habitats around the globe. Along the way, they encounter incredible creatures while combining science education with fun. Boys and girls ages 4 to 6 will love this Step 2 Step into Reading leveled reader as they activate their Creature Power Suits to go hunting with the world s most amazing predators, such as sharks, lions, and crocodiles Step 2 Readers use basic vocabulary and short sentences to tell simple stories. For children who recognize familiar words and can sound out new words with help."